Hand on Heart, do you ever find yourself wondering the answer to this question? Or maybe, like most people, you do not even realise that these questions on your mind. You just walk through life casually avoiding anything that kinda seems like it might be a little difficult because deep down inside, you do not KNOW whether you can actually handle it. So, life for you is a boring, slightly frustrating, continuous straight line where nothing happens. You have the security you thought you wanted but now, it is stifling you. Maybe, you have a job that excited you once upon a time and then as life went on, you were more concerned with being safe, paying the mortgage, being seen as climbing the ladder and all that stuff we get caught up with; Now, you don’t much like it anymore but you keep doing it because the devil you know is better than the one you don’t. 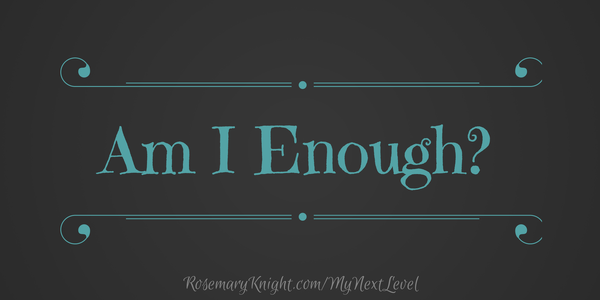 And really deep down, you ask yourself – Am I Enough? Am I Enough to actually still look after my family if I leave the relative security of this job? Am I the kind of person that does that stuff? And all around you are people (also speaking out of their own fear) telling you that you have a good thing going and you would be stupid to leave it. So you stay put. Each day you believe a little less in yourself but you do not even realise it is happening. “Everyone feels like this”, you tell yourself. Am I Enough? Am I Enough? Am I Enough? You almost feel like you need someone to tell you that you are enough and then you will start to do the things that you dream about. But… no one is coming. No one is coming to give you permission because even, if they tried, you would not be able to hear it. There is too much going on inside you to really hear what anyone else has to say and the person you really want to hear from is not paying attention to you anyway. For most of us, we are still waiting on a parent to give us permission to fly. And that parent is still waiting for someone to tell them they can fly. So, we could be waiting a long time. What if you chose to give something new a go. What if you chose to believe, just for a second, that you could do something different, that you could BE someone different, that you could HAVE everything you wanted if you ASKED for it. What could life look like if we reawakened our dreams and took just a little action on them? Not all at once, of course, but we could start with something small and progressively eradicate the stuff we no longer like just a little at a time. What if you wrote down what you really wanted, really truly wanted and then took a little step each day towards it? What would you be doing this time next year? What would you be doing this time in 6 months time? Just by taking one little step towards and a little step away from… each and every day. And you could find the answer to the question you would never dare to give voice to – Am I Enough? There is a lot more to this question than just what you do. In fact, what you do is just a tip of the iceberg of discovering whether you are enough or not. And yet, it is a start – Just believing enough in your dreams to take a little step towards them and a step away from the life you no longer like. So start there – Start by taking 2 steps each day – Away from and Towards. 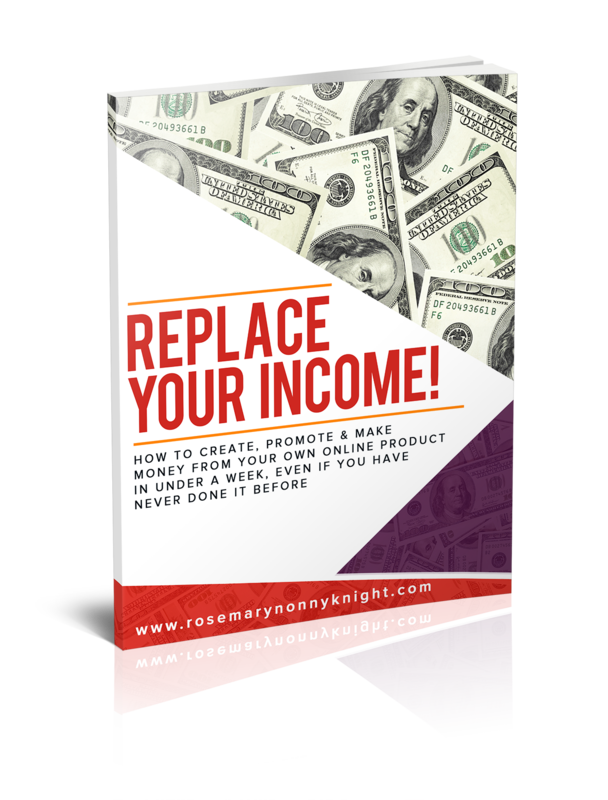 To end, I want to invite you to join in the ‘Get Your Message Out, Get More Buyers In’ program as a start – A start to discovering the answer to your question. Some things can be picked up by learning a skill – marketing/promotion is one of those things. Learn more by popping over to this page and see how this can help you get where you are going in your life.